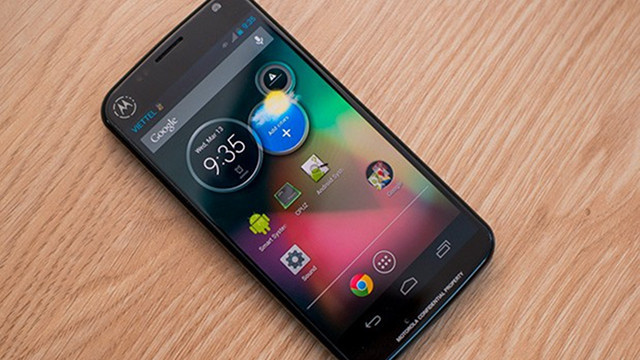 It seems that the new Motorola Moto X has been able to accumulate in it the manufacturing expertise of Motorola and the awesome software power of Android and Google. It is already confirmed that the new Motorola Moto X will come in the five biggest U.S. carriers – Verizon Wireless, AT&T, Sprint, T-Mobile and US-cellular and this is a really nice achievement for Motorola. Although the phone is mainly designed by Motorola it has that Nexus look to it and it really looks like a Nexus device unlike the DROIDs. Nevertheless, from Motorola still managed to put in some defining characteristics of the company. Near-edge-to-edge screen with the acceptable 4.7 inches and 720×1280 pixels, resolution with AMOLED display from the RGB type (not pentile) and 316 ppi density which is also acceptable. When it comes to the camera again as in the DROIDs Clear Pixel technology and 10MP, which we expect to reduce the day light blur and improve the night light shots and quality in general. 1080p recording, naturally, is supported. The Motorola X8 Mobile Computing System with a contextual computing processor and a dedicated natural language processor and to a 1.7 GHz dual-core Snapdragon S4 Pro CPU and the Adreno 320 quad-core GPU, which is also featured in the DROIDs for Verizon, is also here and running smoothly. As it was announced earlier the phone will be highly-customizable and you will be able to select from 2 front colors, as well as 7 accent colors, 18 back colors. Probably the most amazing of these features is the option for setting up a customized boot-up message, which is added before even receiving the device or printing a custom message on the back of the phone. The phone will be available in 16GB and 32GB. The last two new features that we will look at are Touchless Control and Active Display. The Touchless Control supports the always-on feature which listens non-stop to your commands and the Active Display lights up only certain pixels to inform you about notifications and in this way saves up energy.